Every time Elvis Presley’s personal jewelry comes up for auction, we’re reminded of the singer’s legendary generosity. You see, for all the treasures Presley kept for himself, he gave away nearly as many, according to his personal jeweler. Presley famously wore gem-encrusted rings and pendants, and often gifted the jewelry to friends, colleagues and fans. It wasn’t unusual for Presley to wear a favorite piece and then present it to a staffer who admired it. 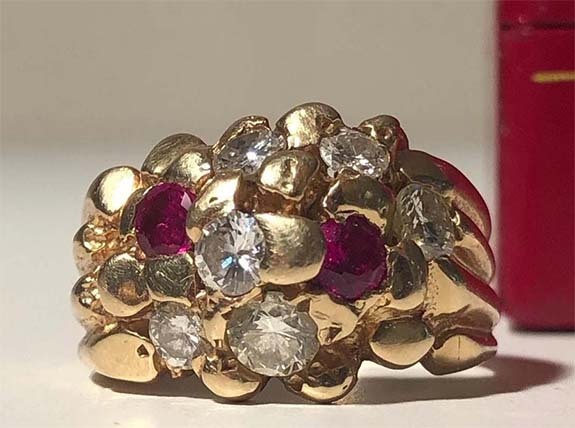 That ring is just one of a series of Presley’s personal pieces that will hit the auction block today. 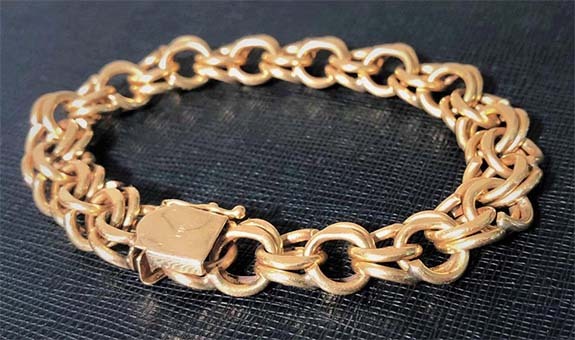 Another auction highlight is a gold bracelet that had been gifted to Sam Thompson, Presley’s friend and member of his security team. He gave away the bracelet when they worked together in Las Vegas in 1976. Both the ring and bracelet are each expected to sell for about $13,000. During a 1975 show in North Carolina, Presley asked Hays to bring the jewelry suitcase onstage. Hays said Presley was in “one of his moods” and started handing out jewelry to the women in the front row. Hays explained that among Presley most cherished jewelry possessions was the “TCB” ring the jeweler crafted for him using 56 diamonds, including an 11.5-carat solitaire. “TCB” stood for “Taking Care of Business,” Presley’s mantra and also the name of his backing band. 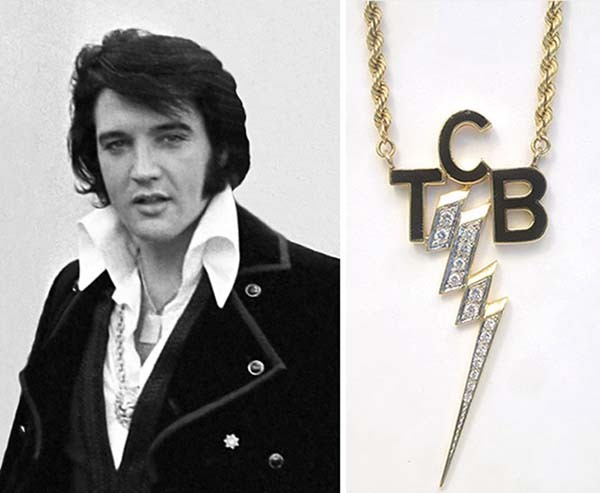 During a 2017 interview with billboard.com that marked the 40th anniversary of Presley’s passing at the age of 42, Hays recounted an incident that earned him a coveted TCB necklace, a piece of jewelry normally reserved for Presley’s inner circle. Hays was attending one of Presley’s shows at the International Hotel in Las Vegas when he noticed a man trying to sneak on stage.